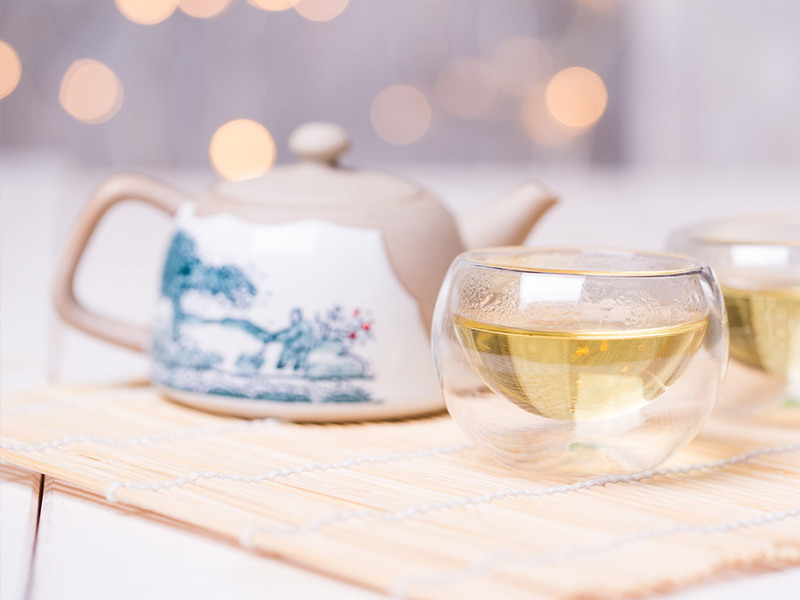 The rarest of all types of Chinese Tea, Yellow tea is relatively unknown and very difficult to find. It is believed that the tea was first produced during the Qing Dynasty (1644-1911). Similar to White Tea, Yellow Tea is harvested early in the spring when the leaves are still in their bud form. This leaves a very small window in which the tea can be picked. The buds have high levels of antioxidants and the processing technique allow the tea to have a higher level of antioxidants than most types of tea. The buds are then fired to stop oxidation and then the leaves are wrapped in a special paper and stored in wooden boxes. Periodically the tea is refired and rewrapped in paper. The process takes around three days. The leaves are then slowly roasted. Due to the limited harvesting time and complicated processing, it is easy to see why this tea has had a hard time surviving. It is simply easier to produce Green Teas, and the economy of the regions where this tea is produced is fairly poor, so Green Tea is the obvious choice for most Tea farmers.